This past weekend we hosted one of my favorite traditions, our Holiday Cocktail Party! Filled with good friends, Christmas beverages, and small bites- a great excuse to dress up and hang out! Of course I pondered over the food menu for weeks, trying to figure out the perfect mix of enticing savory and sweet treats that I could put out and forget. I love hosting but I hate being in the kitchen all night; I wanted appetizers that could be served warm but be just as delicious after an hour on the table. 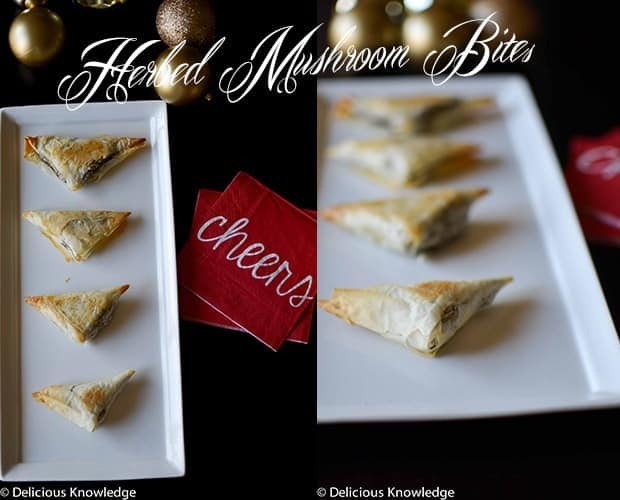 For starters, one of my favorite appetizers- herbed mushroom triangles from Chloe’s Kitchen. My parents used to make these all the time for dinner parties, a special treat when we were able to sample some. Theirs featured sausage and cream cheese, my vegan version contains mushrooms and herbs. The real beauty of these apps is that they can be made ahead of time, frozen and then baked… right from frozen! I made a big batch the weekend before, kept the oven on and just popped in what I needed as the party progressed. Simple is good, especially after a few glasses of wine! 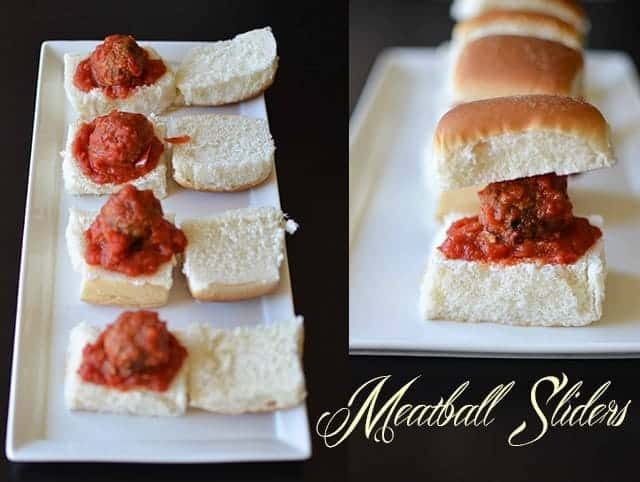 The sleeper hit of the night, my meatball sliders, were another great 2-bite appetizer. Hearty enough to stand up to the many eggnog martinis that were flowing throughout the night. I’ll be sharing this recipe tomorrow. , features a simple tempeh pate rolled in puff pastry, baked and sliced into pinwheels then topped with cranberry sauce. So, so good. If you are looking for a wow vegan appetizer for your next get together, I highly recommend this one! To prep, I made the pate ahead of time and rolled it into the puff pastry that afternoon. Wrap tightly in plastic wrap and refrigerate until ready to use. Then, place on a baking sheet, bake for 25 minutes, let cool slightly and slice. Rounding out the menu, my favorite part- dessert! 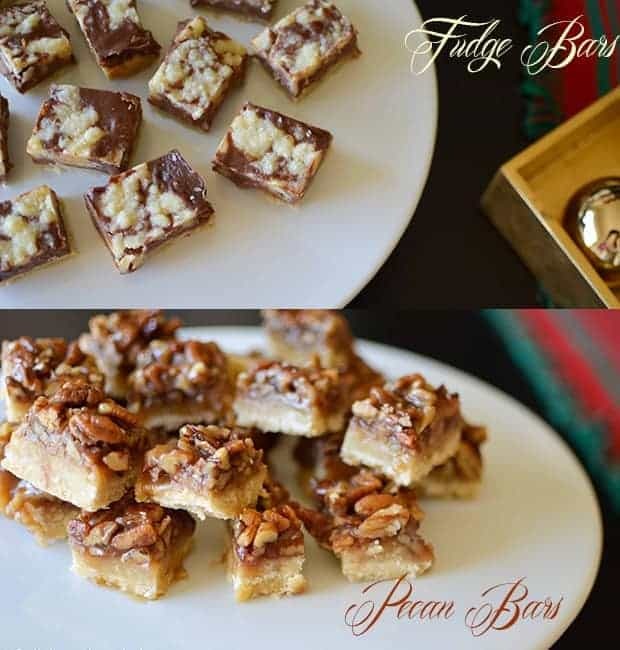 Featuring two bar recipes from Chloe’s Vegan Desserts, another must-have cookbook. Just like the mushroom popovers, I made the bars the day before and sliced them into small bites the morning of the party. Those were then placed into containers, kept in the fridge and replenished on the platters as needed! 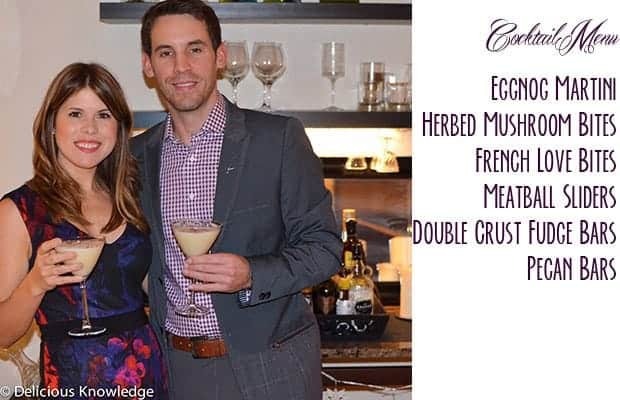 Lastly, to celebrate the season and bring everything together- we served vegan eggnog martinis! Yum! I’ll be posting that one on Friday.